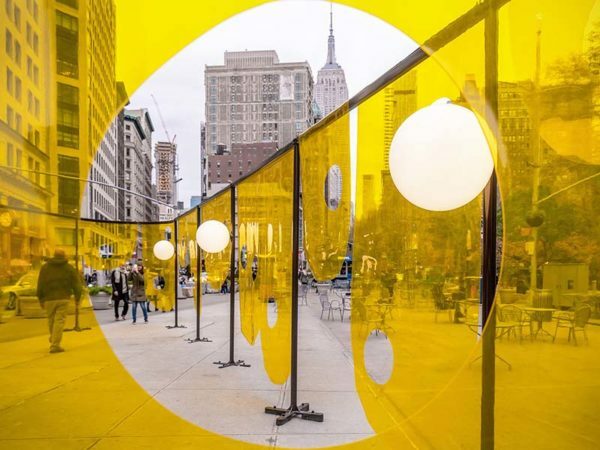 Studio Cadena’s Happy installation brightens Flatiron plaza in New York. 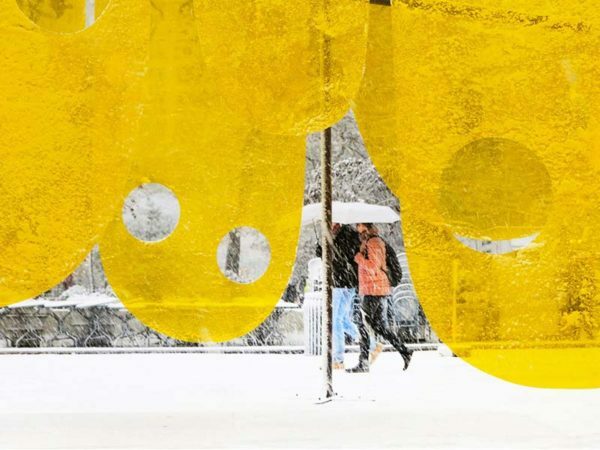 Yellow material shaped to resemble smiley faces is draped from this installation by Studio Cadena, erected outside New York City’s Flatiron Building for the holiday season. 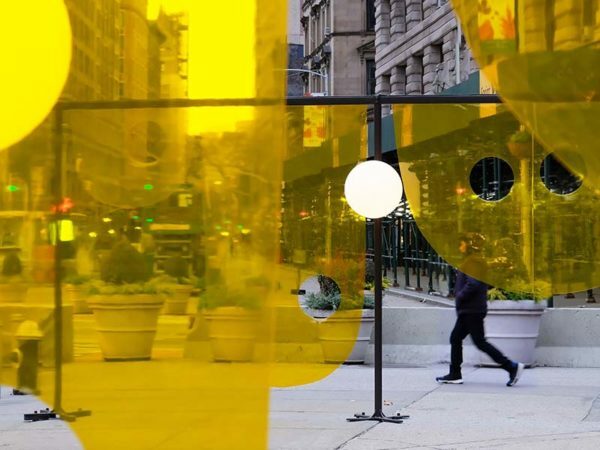 Visitors are invited to move between the 23 transparent yellow vinyl screens hung over a black frame, which forms a triangular footprint similar to the iconic Flatiron Building located opposite. 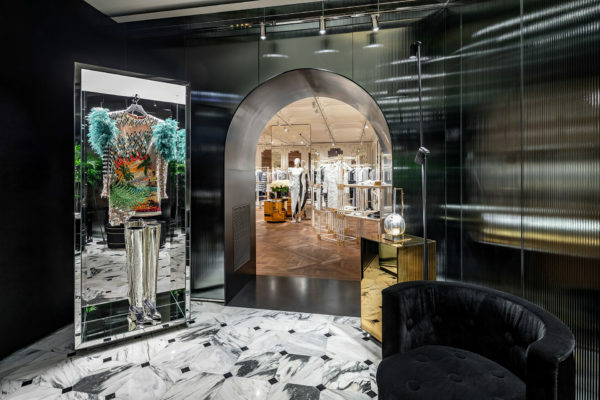 Each piece of the tinted material is rounded at the bottom and punctured with circular openings that offer a clearer view through – altogether resembling smiling faces. 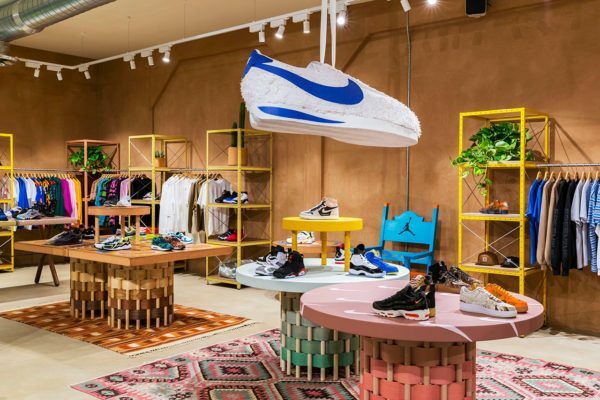 Studio Cadena, which is based in both Brooklyn and Bogota, designed the colourful and playful structure to offer light relief at the end a tumultuous year in the US. 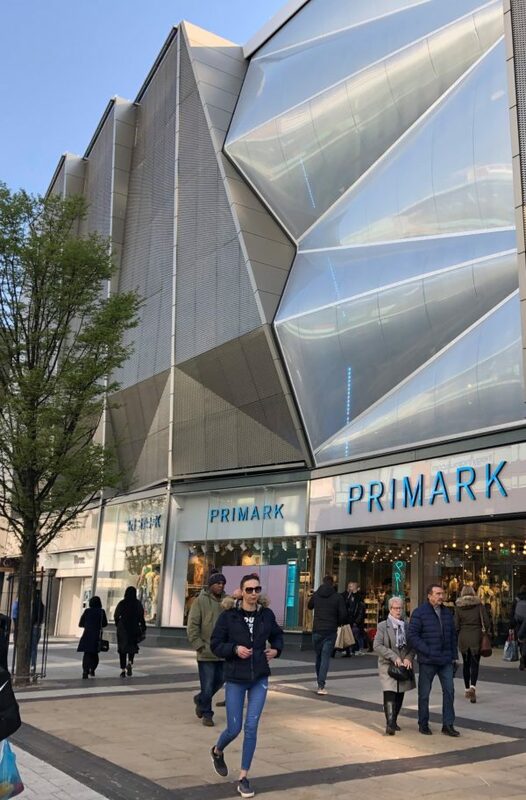 “In our otherwise bleak social and political context, it aspires to carve a small and more positive space in the city – it offers a warm embrace during the cold winter months,” said studio founder Benjamin Cadena in a project description.